David Edelstein discusses Syracuse’s 55-42 win over Western Michigan. He discusses Eric Dungey’s performance and energy throughout the game as well as how much of a difference maker he is on the field. Tommy DeVito saw his first minutes of playing time, and Edelstein discusses the results of Dino Babers’ decisions. Who will be Syracuses #1 wide receiving target in 2018? Edelstein points out evidence that might give away the answer. 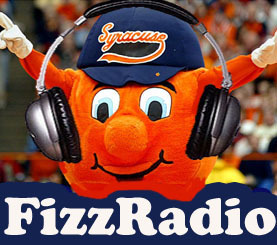 Keep reading OrangeFizz.net and follow @OrangeFizz on Twitter and Facebook to stay up to date on all Syracuse football news as well as pregame and postgame FizzCasts and Fizz Radio. Which Fresh Faces Shined In Syracuse’s Opening Win? What Does Syracuse Need to Prove Against Wagner?